Emoji support while blogging is something I’ve been waiting for as long as I can remember and it’s finally here. 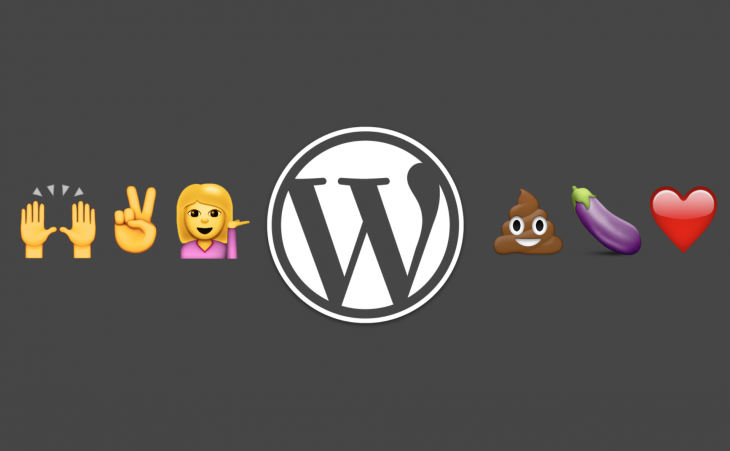 WordPress 4.2 landed last week and fully supports emoji. If you previously used emoji in a post, like 🍆, WordPress would fail to save the post and in some cases even lose the text you’d written. With this latest update, you can use emoji essentially anywhere (including in your URL slug, if you dare to try it 🚀). WordPress 4.2 adds support for a number of new embed types, such as Tumblr and Kickstarter, which are formatted automatically for inclusion in your posts. The update also contains some major improvements to the “Press This” feature that allows you to create a post by clicking a button on your bookmarks bar, making it easier to use and far better designed. Ready to get your emoji on? Just update to WordPress 4.2 by downloading the latest build or hit the update button on your dashboard.